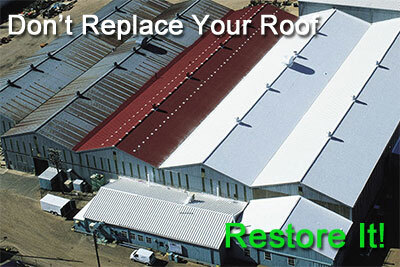 Schwartz Commercial Roofing provides Metal Roof Coatings & Restoration – Single Ply Options – EPDM Rubber Roof Repairs & Restoration – Flat Roof & Low Slope Roof Options for Northeastern Iowa. The coatings used – Benchmark & Rapid Roof III are the most trusted Acrylic coatings on the market. Our Single Ply membrane, Flexion has stood the test of time. We can bring your aging EPDM roof back to life! If you are looking for a long-lasting, durable, energy efficient COOL ROOF solution to your roof, call Schwartz Commercial Roofing today!! Reflectivity and energy savings (GO GREEN) is how we think. Our warranties are the best in the industry, up to 18 yrs. on our coatings system and up to 30 yrs. on our single ply systems. Call us for a free quote today! !